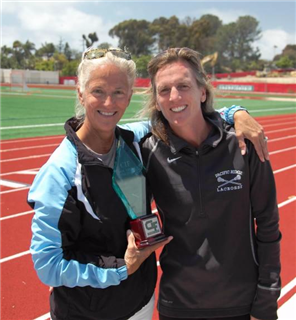 Congratulations to Coach Liza Neptune on being named the California Interscholastic Federation (CIF) San Diego Girls Varsity Lacrosse Coach of the Year. She was selected for the honor by a group of league and CIF representatives. The coaching title caps a brilliant season for Coach Neptune and Firebirds Girls Varsity Lacrosse - the team won its first CIF Championship title last month in a thrilling, overtime victory against Ramona High School. For many years, Coach Neptune has been a leader not only at Pacific Ridge, but also for the San Diego lacrosse community. She serves as president of the U.S. Lacrosse San Diego Regional Chapter and was inducted into the San Diego Chapter of the U.S. Lacrosse Hall of Fame last year.